Here's the latest comic for Investing.com. This post will be going up on the 6th of July, but it's a comic involving the 4th drawn on the 2nd. Just for those of you keeping track at home. This week's comic involves record numbers for both the Dow Jones Industrial Average and the S & P 500. This week also happened to contain the 4th day of July, which is a day we celebrate here in the good old US of A. The comic involves all of the afore-mentioned items. 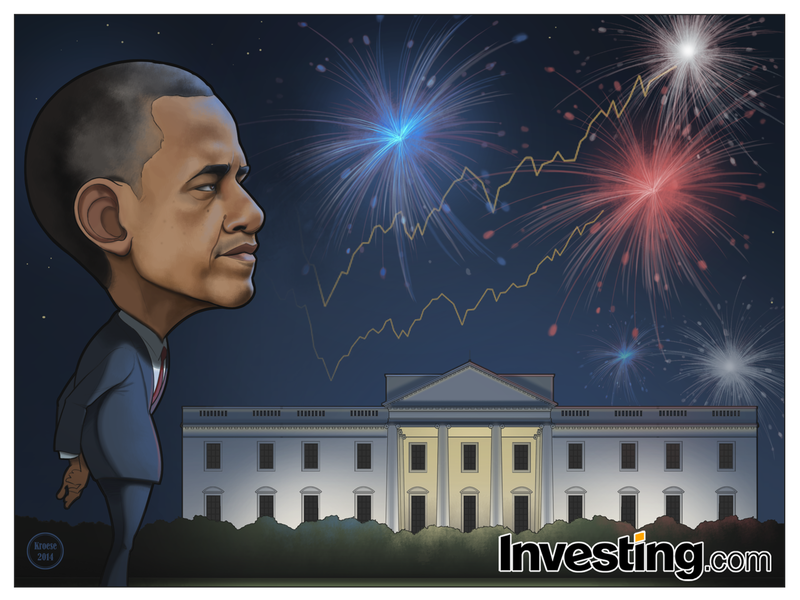 I was asked by the team at Investing.com to draw both graphs (showing the climb of the indexes) in the sky, red, white and blue fireworks, and Barack Obama looking on. The sketch doesn't really tell us much. In fact, it doesn't seem to make sense. But I knew the direction I wanted to go and so I wasn't too worried that it didn't look so great at this stage. 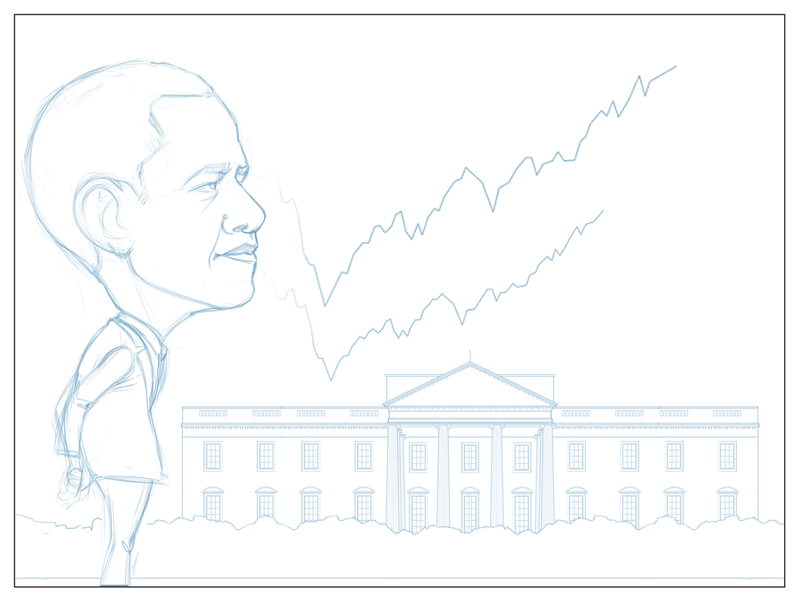 I also included the White House, figuring it would make a nice background detail. I think this comic turned out relatively well. Having only a single character to draw, I was able to focus on his expression and shading and spend more time on the details. All of which (I think) makes for a stronger comic. Business and America go hand in hand. Sometimes for good and sometimes for ill. Calvin Coolidge said "The chief business of the American people is business." And so it makes perfect sense to me to reflect on the state of business and finance on the 4th of July. That's part of why I drew Barack Obama with a pensive look on his face.